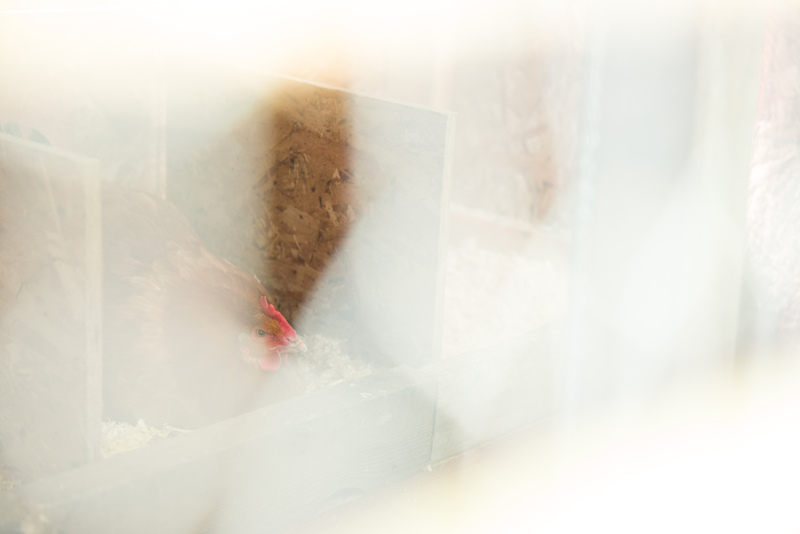 backyard chicken in coop by William Bragg, Portland, Oregon photographer. Editorial photography for regional magazine article concerning local sustainable farming, food and dining. William Bragg, photographer, Portland, Oregon.